Five years ago, clinical psychologist Scott Haas began interviewing Indian Americans and Indians living in the United States. Raised in both an immigrant family and a heavily immigrant community in Plainfield, New Jersey, Haas has a clear understanding of the challenges faced by individuals seeking both opportunity and the desire to assimilate in their newly adopted homelands. 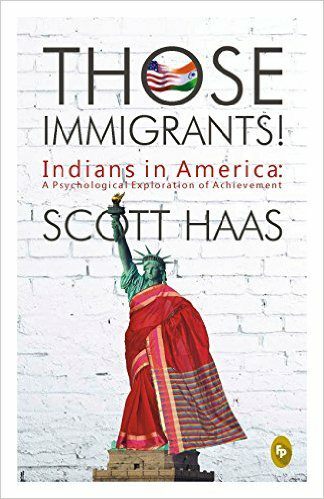 Haas became interested in understanding exactly why Indians in particular have made great accomplishments in the US compared to other immigrant communities. In Those Immigrants!, Haas shares interviews with 30 prominent Indians, all of whom have excelled in their fields. 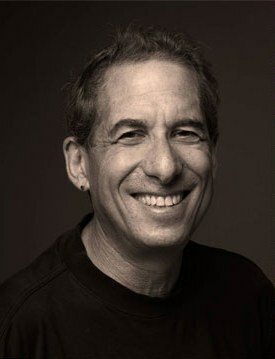 Though his publisher initially pushed for interviews with well-known, celebrity Indian Americans, Haas chose to focus on individuals with whom the average person could connect. In looking to identify the traits beyond the typical stereotypes, Haas uncovers some commonalities related not only to culture and tradition, but also to shared value of education and sense of entrepreneurship. From Vijai Nathan, comedian, to Gita Gopinath, economist, and Maya Ajmera, education advocate to Saatvik Ahluwalia, public servant, among others, each of these personal stories explores the catalysts behind the many achievements of the Indian American community. The passion, drive, and self awareness exhibited by those featured in Those Immigrants! engages readers and inspires them in their own pursuits. Haas is also the author of Back of the House, Hearing Voices, and Are We There Yet?. He is co-author of The Da Silvano Cookbook. His work appears in several publications, including Saveur, The Boston Globe, Wine Enthusiast, Travel + Leisure (North America and Southeast Asia), among others. He has a doctorate in clinical psychology and maintains an active consultative practice emphasizing diagnostic work in psychiatric hospitals and urban communities of color. Follow his work via his blog, www.shrinkinakitchen.com. What inspired you to write Those Immigrants? What was the impetus behind the writing of this book? The book profiles an impressive group of 30 individuals from varying backgrounds, and each with a unique story to tell. How did you compile the list? Through friends and friends of friends. Through research on the internet. I wanted a range of people — some wildly successful and others at the start of their careers. Well known careers in tech, and surprising careers in stand-up comedy and jazz singing. What commonalities do these individuals share that have made them successful and thrive in the United States? Access to mentoring, understanding of hierarchy, skilled culturally with diversity, strong and supportive families, deep value for education, an ability to focus on long-term goals, entrepreneurship. If you had to pick three to five profiles as the most inspiring or unique, which would you choose? Oh, that’s so hard to say! I wouldn’t want to exclude others. Honestly, I learned an enormous amount from each person. Immigration is clearly a hot button topic right now. What are your thoughts on challenges faced by immigrant communities now versus those that arrived in the United States 30-40 years earlier? The infrastructure is better now, there is more exposure to many types of people in U.S. cities, presumably there is greater tolerance, more “mixed” marriages, and lawmakers whose backgrounds are immigrant. That’s the good news. The bad news is that there is enormous fear mongering occurring that I think will get worse before it gets better — we are at an historical crossroad as we shift from old school manufacturing to high tech, and as women and people of color take more of the reins of power. The resentment of those who’ve run things up until now needs to be addressed through strict enforcement of laws and protection of all of us. Societies are judged by how they treat their most vulnerable members. Article appears in the July 2016 issue of Desh-Videsh magazine.